This post may contain affiliate links. Click here to view my full affiliate disclaimer. I know that everybody just loves laundry day. Ok, I’m being sarcastic but you get my point. Seriously, when you have loads of dirty clothes to wash, dry, and fold, you can become exhausted just by looking at all of it! 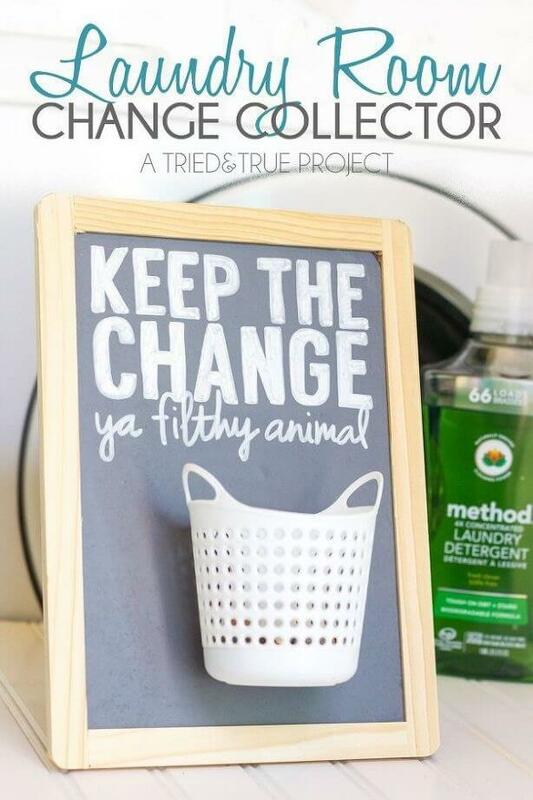 I went on a hunt to find ways to make laundry day a lot easier. 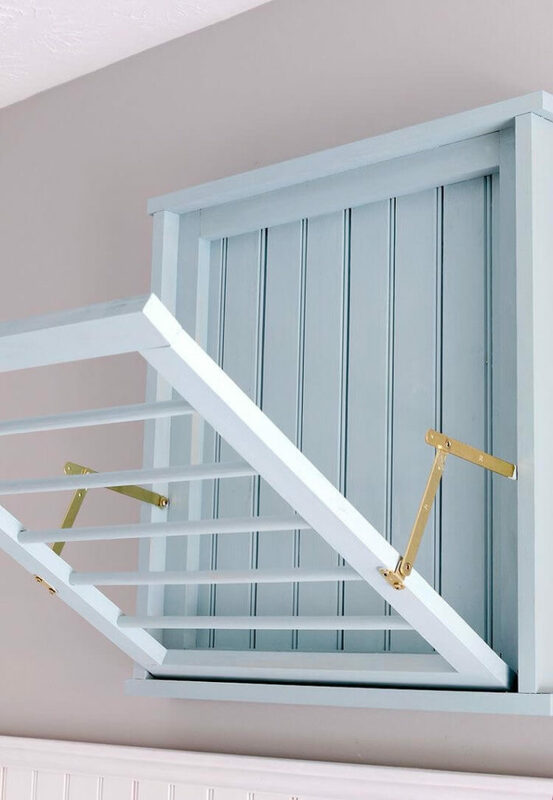 I came across 8 laundry hacks that you can implement in your home the next time you do laundry. 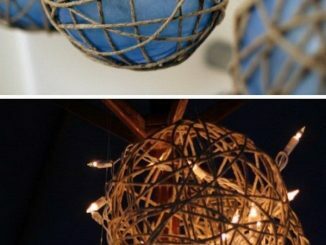 Each hack contains a link to its original source underneath the picture, so click on the link to find more hacks! 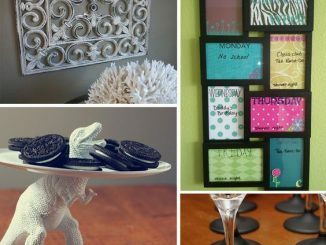 Don’t forget to share your new finds with your friends and family! 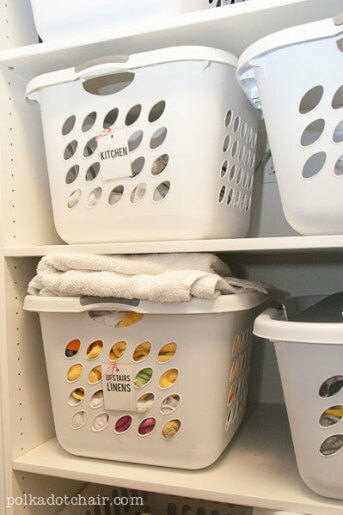 Keeping the laundry baskets labeled will make it easier to wash, fold, and put back. Label a laundry basket for each room in your house so that way you can easily determine where it goes and put it back in the right spot. I have the hardest time finding a place to store my iron board. 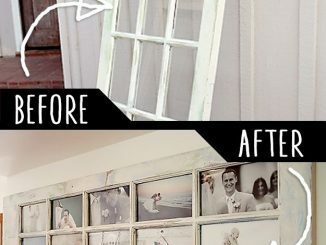 With this hack, I can install a few hooks onto the empty wall space in my laundry room and hang my iron board from there! Problem solved! 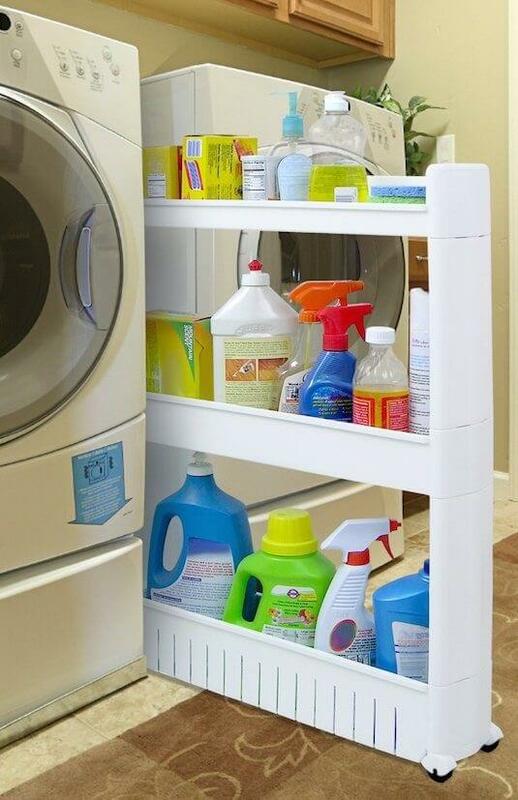 If you have a little bit of space between your washer and dryer, a storage tower will close the gap and give you more room to store your laundry supplies. 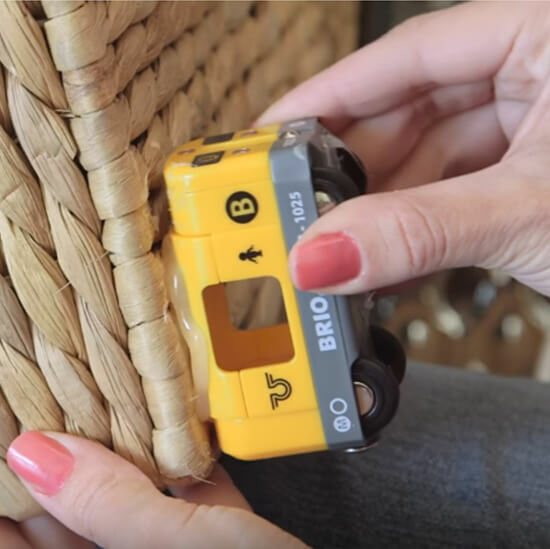 I absolutely love this hack, because it allows you to turn any regular hamper into a rolling hamper with a few toy cars! How neat is that? Say goodbye to those big heavy hugs of laundry soap! 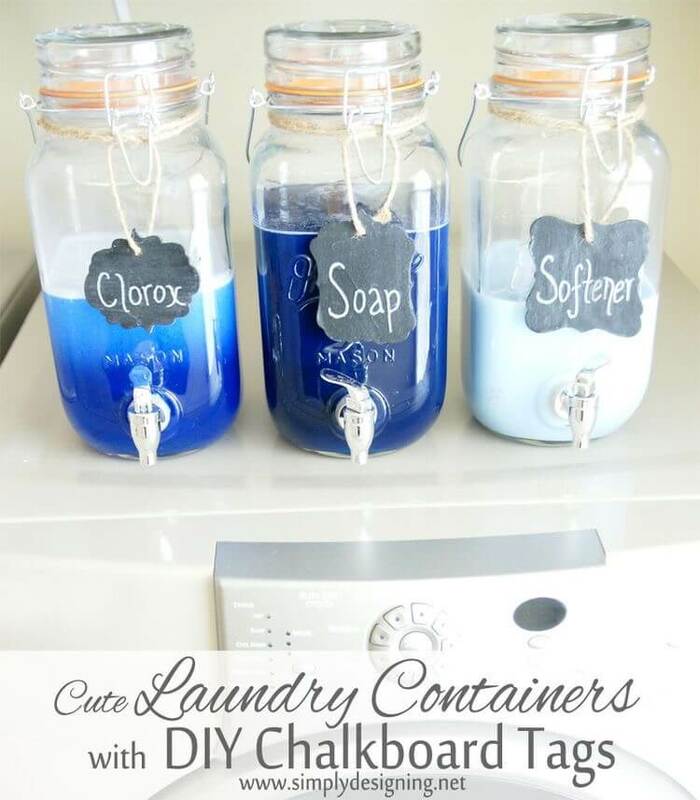 These mason jar laundry soap dispensers are a great way to keep your laundry soap in your reach and ready to use. 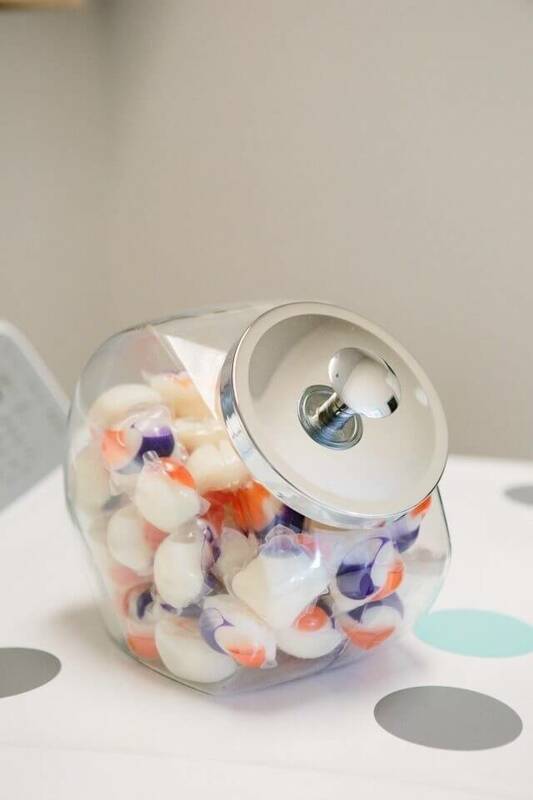 If you prefer to use laundry pods, keep them in a cookie jar. Make sure that you store this jar in an area that kids won’t be able to reach. 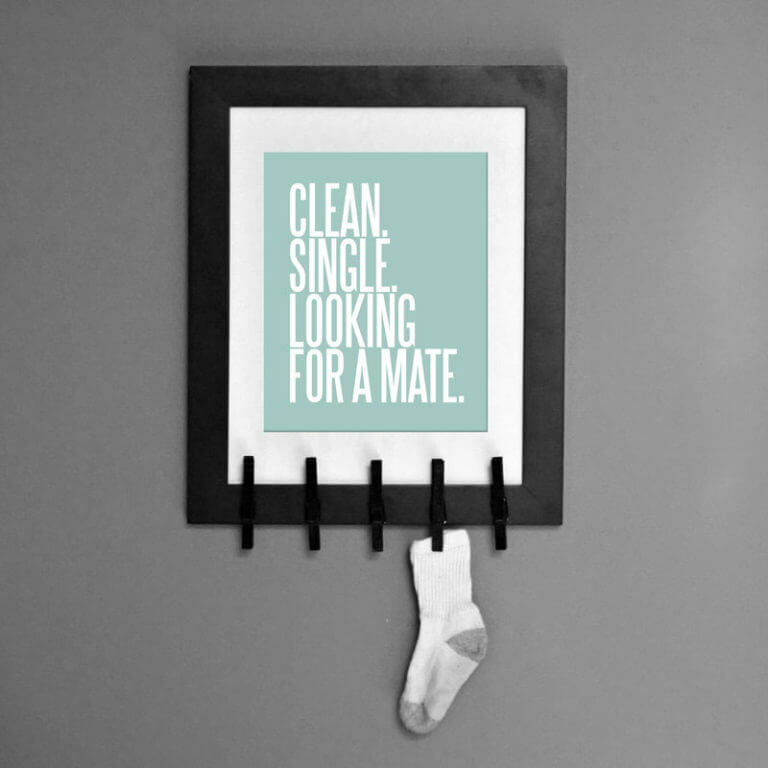 It seems like one of my socks always goes missing after I wash a load of laundry. With this hack, I can take the sock that I have and clip it onto the sign until I find its matching partner. Sometimes I forget to empty my pockets before I throw my pants into the dirty clothes hamper. So when I start putting my clothes into the washing machine, this hack makes it easy for me to empty out my pockets and put the loose the change that I find into this little bucket. Finding a pedestal that is sturdy enough to hold your washer and dryer is a great way to keep your laundry room organized. 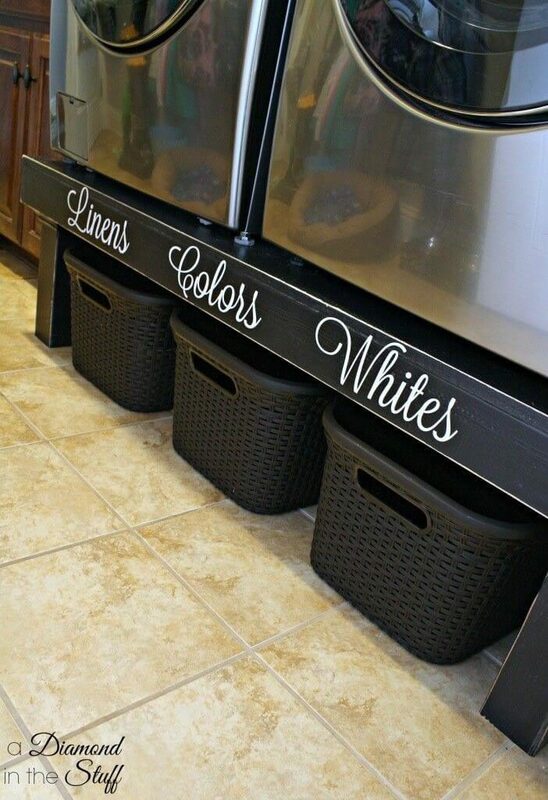 Plus, putting your laundry baskets underneath the pedestal is the perfect way to store your laundry. 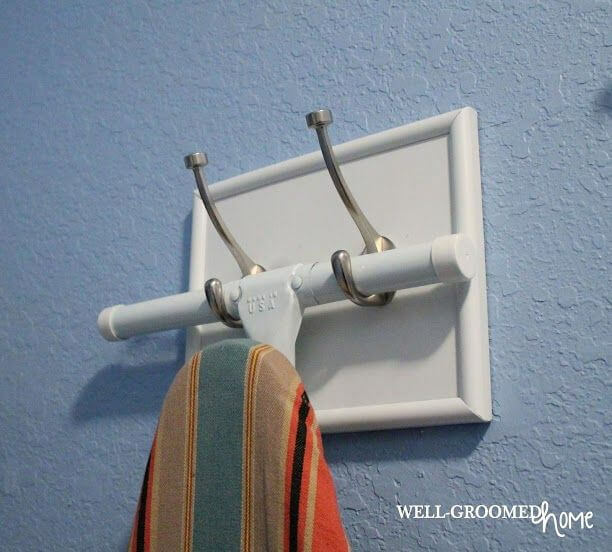 This simple DIY drying rack is a great project to work on if you want to add your own built-in drying rack to your laundry room without taking up a lot of space. Doing your laundry doesn’t always have to be exhausting. I hope that the hacks listed above take a load off of your shoulders on laundry day. If you have any questions or tips that you would like to share with me, let me know in the comment section below.